Clinical Research is a must for tomorrow’s break-through medications. In fact, every prescription medication on the market has been studied through clinical research and monitored and approved by the Food and Drug Administration (FDA). In addition, most studies monetarily compensate patients for their time and participation. Premier’s physicians carefully choose our studies to ensure that they are safe, effective and beneficial to our patients. All research studies are strictly monitored by our physicians, medical safety boards, Institutional Review Boards (IRBs) and the FDA, ensuring safety and quality standards. Premier’s Clinical Research Department is staffed with experienced physicians, clinical and management staff who guide patients through the whole process. We are conveniently located on our Dunlop Lane campus giving patients full access to all of Premier’s resources. Patients can have most procedures performed without leaving this location, and we offer flexible appointment times. To learn more, call us at 931-245-8444. Clinical research is the study of medications, therapies and medical devices in human participants. It aims to advance the medical field by identifying new ways to diagnose, treat and prevent diseases. In fact, all medications, therapies and devices available today once were studied through clinical research. The Food and Drug Administration tightly controls and monitors clinical research to ensure that only drugs and devices that are safe and effective are allowed to be tested and eventually marketed and prescribed to patients. What are the Different Stages of Clinical Research? Clinical Research can be divided into 3 general phases of development. Our Clinical Research Department focuses on Phase 2 and Phase 3 clinical studies, as we believe these trials are typically the safest and most effective for our patients. Phase 1 is usually the first time that a new study drug is introduced into humans. Its purpose is to ensure that the study drug is safe in humans at all different levels of medication. If the study drug proves to be safe, then it progresses to Phase 2 which usually tests the medication in a larger patient population. Phase 2 studies typically test to see how effective the drug is at treating a more controlled population suffering from a particular disease. Once Phase 2 studies are completed, and the study drug proves to be safe and effective, the FDA approves the study drug to advance to Phase 3 clinical testing. Phase 3 studies are performed in a much larger patient population, to ensure that the drug is tested on patients who are more representative of what the disease population looks like. This phase can take three to five years to complete. Once completed, the company developing the drug then uses the Phase 3 data to apply to the FDA for drug approval. The FDA reviews the data and approves it for market in the United States for the treatment of the disease in which it was tested. Even if approved for market, drugs often continue to be studied in Phase 4 studies or “after market” studies. These are long-term studies in which patients are followed for many years to see if there are any long term overall adverse or beneficial effects on patients. Patients participate in clinical research for a variety of reasons. Some participate to help advance the medical field for the benefit of others and to help researchers and physicians learn more about diseases and treatment options. Others participate to gain direct access to new medications and medical care for their disease or illness that may have few or even no other treatment option. Government agencies, medical institutions, foundations, medical institutions and pharmaceutical companies can sponsor clinical research. Typically, these organizations have a new medical product that they want to advance to achieve FDA approval. Each specific clinical study or trial defines who can participate in it. These specific definitions are called the eligibility criteria and only those patients matching the specific criteria can participate in that study. Depending on the study and the treatment, patients may be healthy volunteers or they may be required to have a particular diagnosis. For example, a new diabetes medication may need to be tested first on newly diagnosed diabetic patients who are not currently taking any diabetic medication. However, later in the product’s development, the medication may need to be tested on patients with more advanced stage diabetes and are currently prescribed insulins. What should I consider before participating in Clinical Research? Participation in a clinical study is completely voluntary, so only enroll if you want to. If you choose to participate in a clinical study, consider the time commitment. Each study varies in length and requires different visit schedules and procedures. Some clinical studies are relatively short (8 to 16 weeks), while others are much longer (1 to 3 years). In general, patients are asked to routinely come into the clinic for visits and exams. Depending on the protocol, these encounters could be weekly, monthly or as infrequently as every 6 months. Patients also should consider the study medication and what known side effects it may have. Study patients are asked to adhere to the study medication guidelines and need to be compliant in taking the study medication to remain enrolled. Before a patient agrees to participate in a clinical study, our Clinical Research staff will go over everything in the study with them and address any questions they may have. We want to ensure that the patient has a clear understanding of the study time commitment, what they can expect at each study visit, and who they should call if they have any questions of concerns. 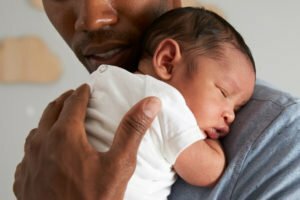 Do you have a newborn or are about to have a baby? If you would like to explore vaccination options and want to learn more about new available vaccines, call us at 931.245.8444. 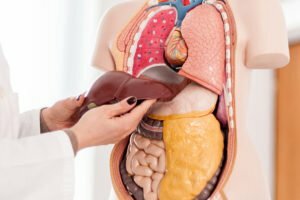 Has your doctor told you that you may have fatty liver disease or NASH? Then you may qualify for an upcoming clinical study for NASH. Check out these resources to learn more about clinical research.